In Carl & Niels, director Alexander Lind creates symbolic spaces to visualise the painful recognition by two twins that their childhood symbiosis is irretrievably lost. Lind is a recent graduate of the National Film School's experimental multiple-camera line under the documentary programme. Niels speaks these words as he holds Carl’s head under water, as if he was baptising him. Maybe he’s hoping Carl will be reborn as the brother he wishes he had. Carl and Niels are identical twins. They have been inseparable most of their lives as best friends. But now that they are in their mid-twenties, they are losing the closeness they used to have. “My girlfriend broke up with me just when I was starting the film. That came as quite a shock and I became obsessed with the transformation that occurs, the huge sorrow it is, when you have to say goodbye to someone you love,” Alexander Lind says, describing the thoughts that led into his film Carl & Niels, which has been selected for the Student Competition at this year’s IDFA. The film centres on the transformation Carl and Niels are undergoing as they find out what – if anything – they can be for each other in their adult lives. Putting them in a series of constructed spaces and situations, Lind, who graduated this year from the experimental multiple-camera line at the National Film School of Denmark, compelled the twins to relate to each other. While Carl accepts things the way they are and the fact that they are growing apart, Niels is clinging to the hope that everything will be the way it used to be. They may be identical on the outside, but on the inside they are oceans apart. Niels mentions that it’s been hard for him to like Carl when things were going well for his brother. Carl replies that he never felt that way. He was never really conscious of any competition between them. Because he was in the middle of a separation process himself, Lind recognised the twins’ miscommunication. The illusion of a tangled clump was the premise of the spaces Lind created for the film. Students in the National Film School’s multiple-camera line mainly work in the studio, bringing elements of reality into the framework of a visually orchestrated space. The scene of the baptismal rite was an assignment that Lind gave Carl and Niels. 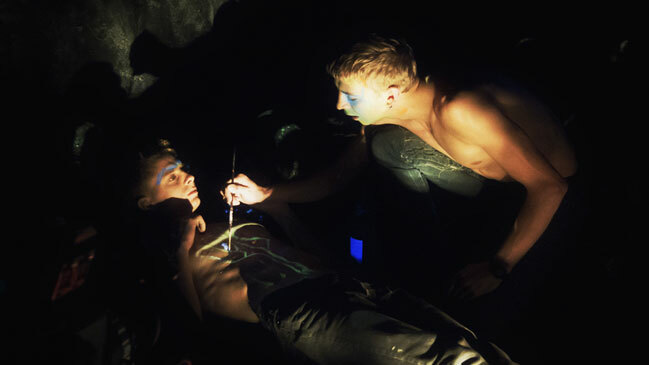 In another, grotto-like set-up, they were asked to paint each other’s demons with fluorescent paint on each other’s upper body. 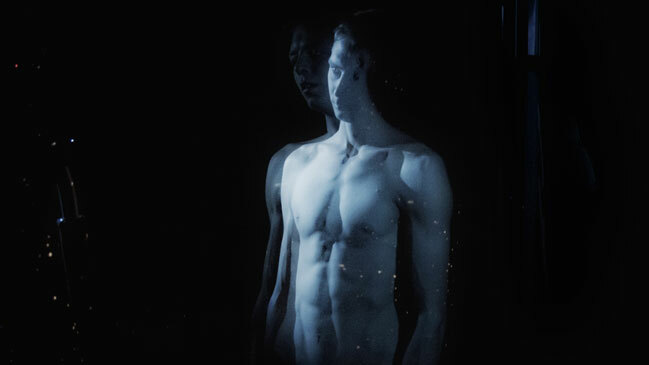 Lind also placed them on each side of a 50-percent mirror – half mirror, half translucent – making it clear to the twins and the viewers how much they look like each other. “I wanted to riff on the assumption that twins are 100 percent identical and show how it really is: that they are two different people with two different wills and ways of coping with life,” Lind says. All along, he was hoping the process would help the twins solve their conflict. So, the mood is tense, when they are placed on either side of the see-through mirror in the studio. Niels misses Carl and wishes they could find each other again. But Carl can’t promise him that. He’s having a hard enough time finding himself. At the end of the day, Lind had to admit that his good intentions would not bear fruit. “I realised that I wasn’t going to get the happy ending I wanted. On the other hand, I got a portrait of two people who are in conflict with each other. No matter how much they want to, they can never go back to the way things were. Things are in constant motion. If they can accept that something good will come of their lives anyway, but they just have to look for it somewhere else, then they can move on with their lives,” the director says, adding, “That’s what’s so great about life. You never get what you’re after, but you get what you need”. Carl & Niels, selected for IDFA Student Documentary Competition, is produced by the National Film School of Denmark. 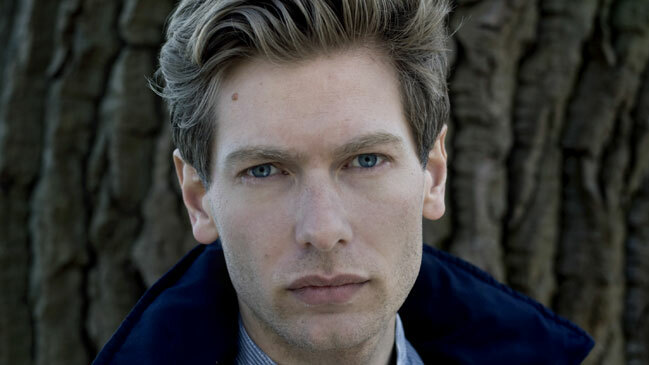 Director Alexander Lind, 30, brings his graduation film Carl & Niels to IDFA’s Student Documentary Competition. The National Film School of Denmark’s documentary programme, which has existed for 20 years under the direction of Arne Bro, has been hugely important to the current success and impact of Danish documentaries. The programme has two tracks. The multi-camera directors, like Alexander Lind, mainly work in the studio, and the documentary directors mainly work in the field. At this year’s Nordic Talents, the annual pitching and networking platform for Nordic film Schools co-organised by the Danish film school and Nordisk Film & TV Fond, Maria Bäck won the main Pitch Prize for her new project I Remember When I Die. Carl Olsson won the Filmlance Seriously Big Humour Student Film Award for his graduation film Blessed Be This Place.